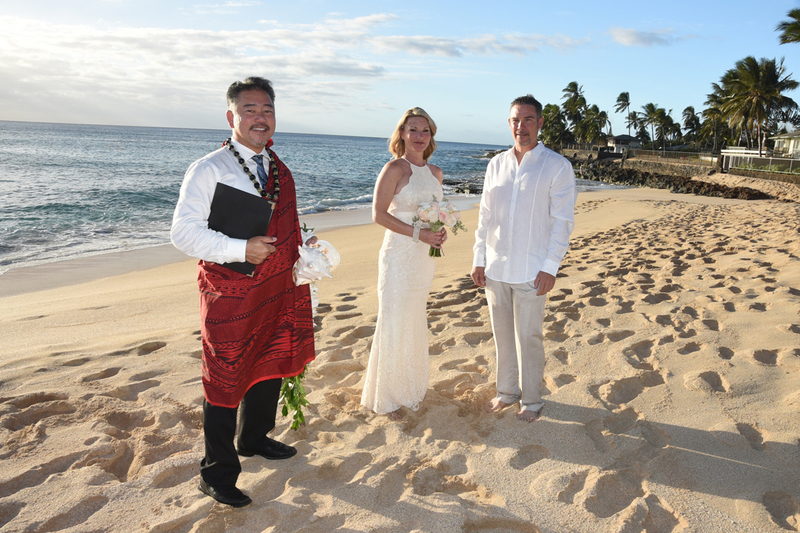 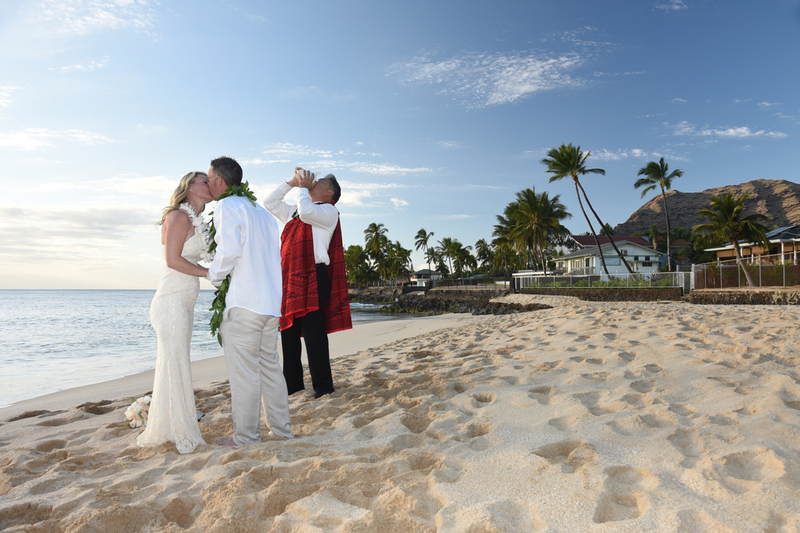 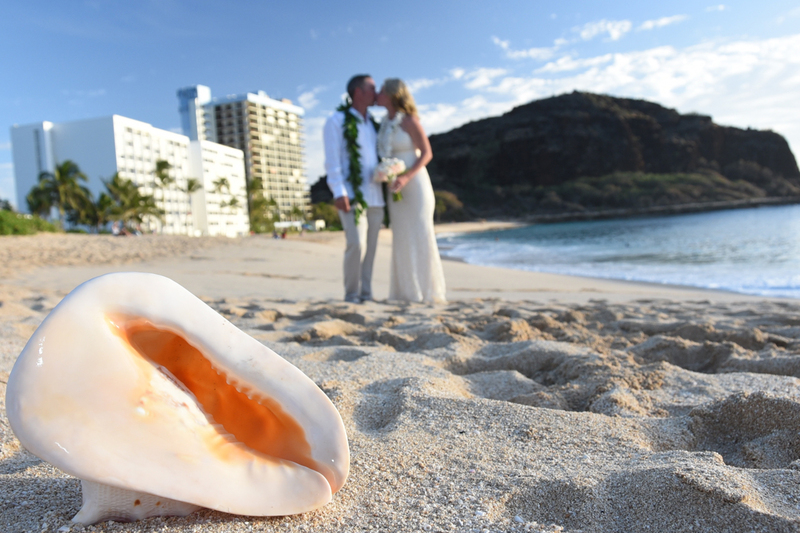 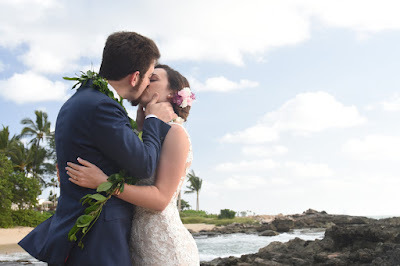 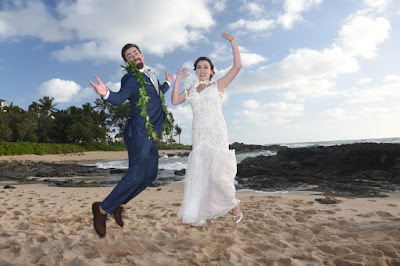 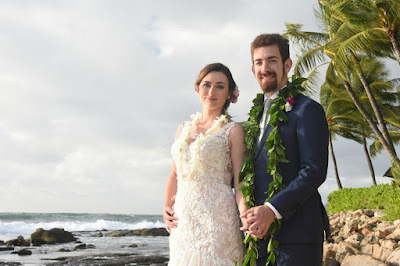 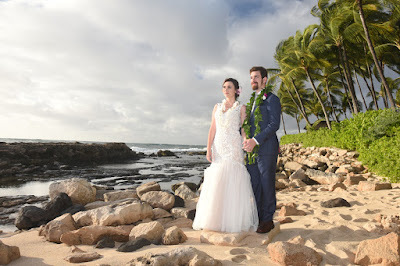 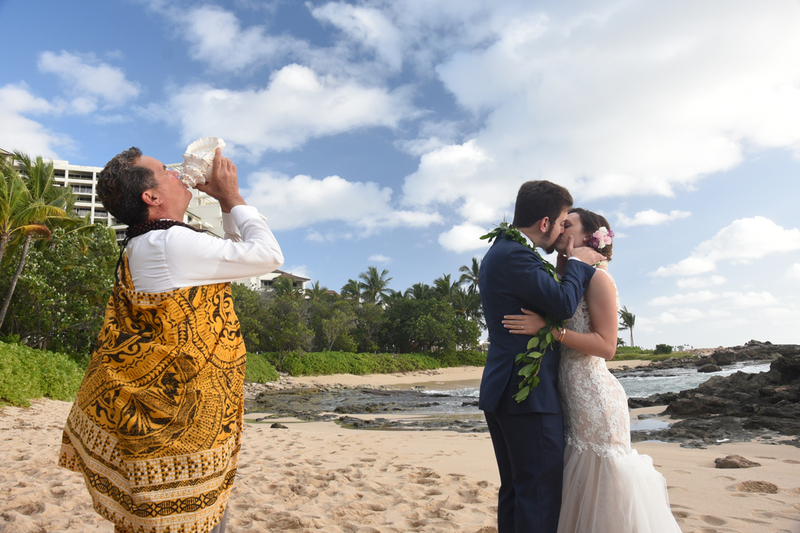 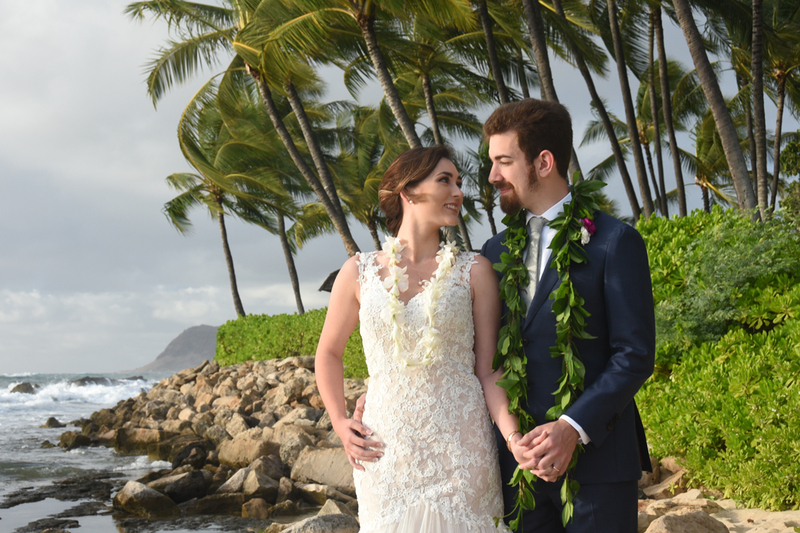 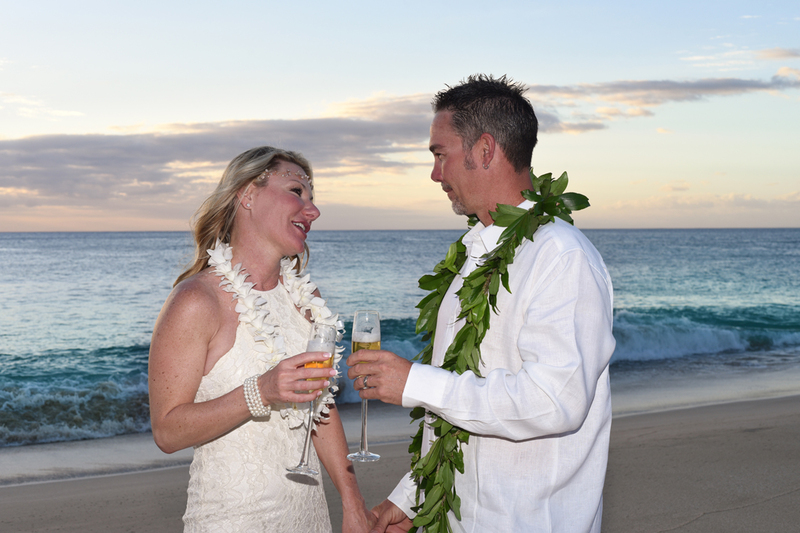 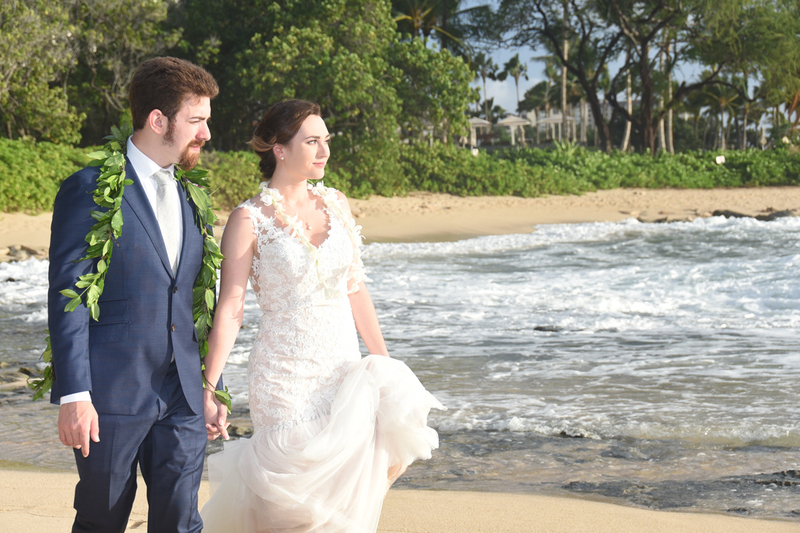 Papaoneone Beach is located in West Oahu, about a half-hour drive from Ko Olina, so we include these wedding photos in our Ko Olina Gallery. 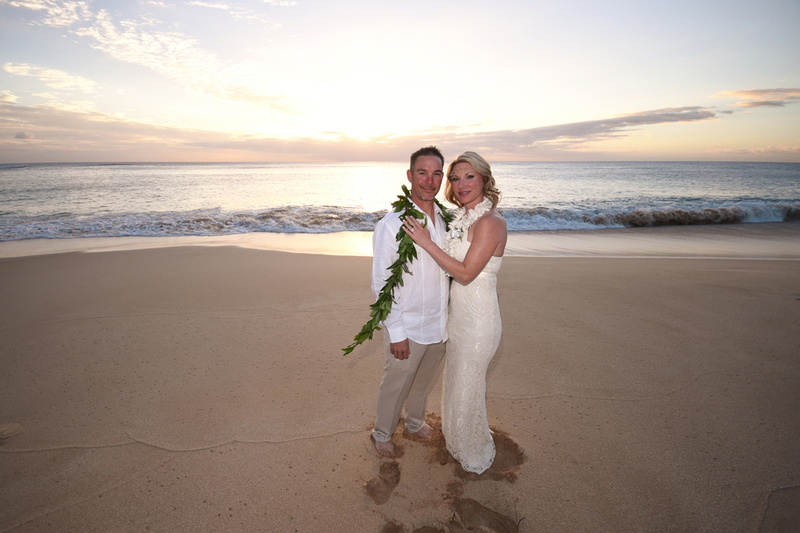 Farrah and Ali take beautiful photos at Milo Cove at sunset time. 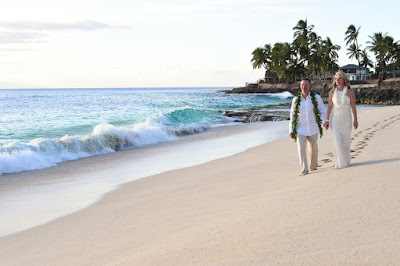 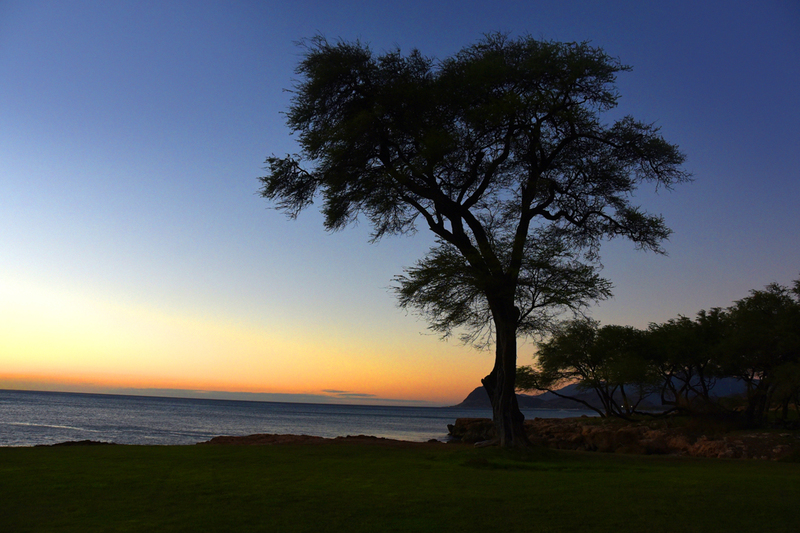 This secluded beach in Ko Olina is a prime wedding location if you don't mind the hike to reach it. 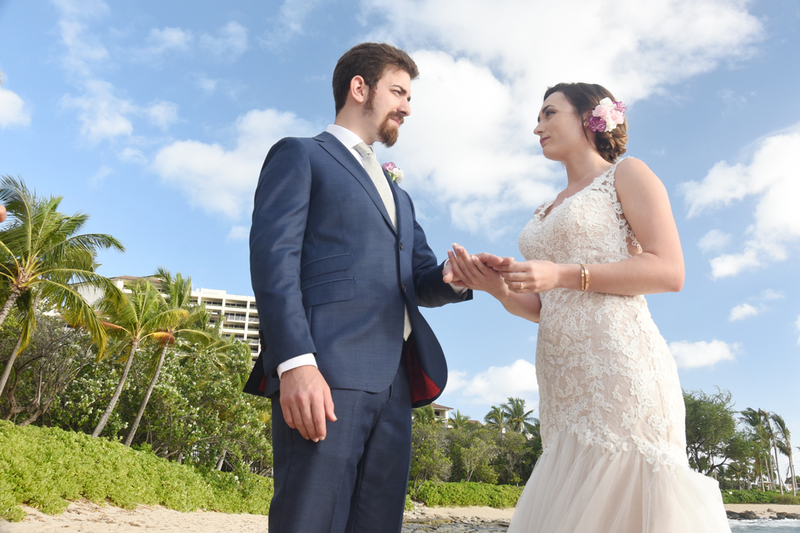 We had the entire beach to ourselves! 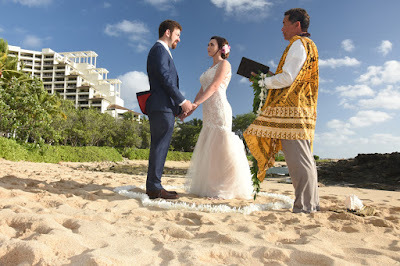 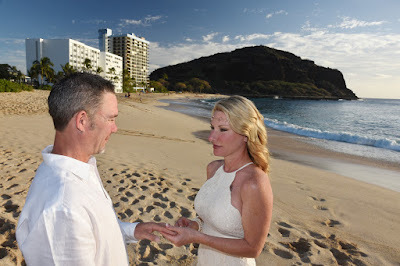 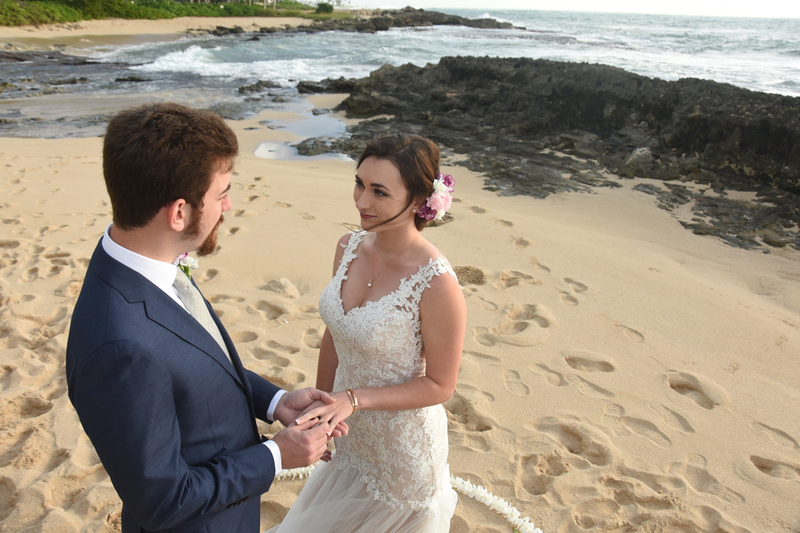 Jacob and Jessica exchange wedding vows (and rings) at Ko Olina Beach, West Oahu.